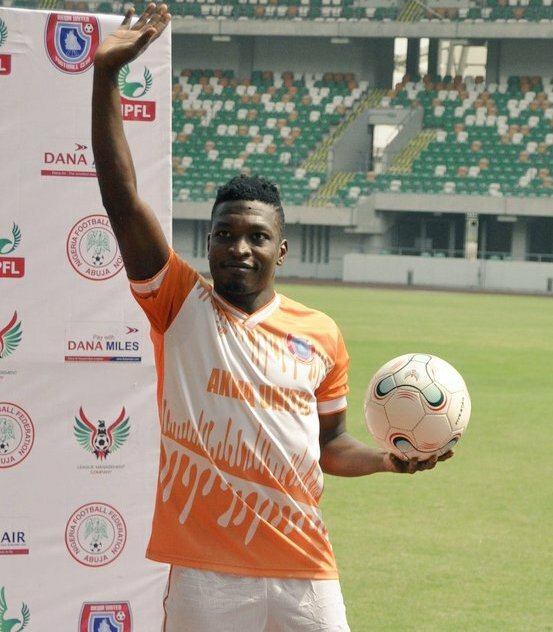 After picking an injury in Akwa United’s victory at Okigwe over Heartland FC of Owerri, Ndifreke Effiong says he has been declared fit by the club’s medical team. Alongside former Enyimba Captain, Mfon Udoh, the duo have scored 13 of the 17 goals recorded by the 2017 Aiteo Cup Champions in the Nigeria Professional Football League this season. The former Abia Warriors forward opened scoring for the Promise keepers in their sixth away match of the season but got substituted in the course of the game after a knock. Not long after, reports emerged about the 20-year-old’s inclusion in the Super Eagles squad billed to face Seychelles and Egypt during the FIFA international window. Coach of Nigeria’s national senior team, Gernot Rohr decided to call up Mfon Udoh’s strike partner after Torino defender, Ola Aina was reported to be unavailable. While fans of the Uyo-based club worried about the fitness of Effiong, the forward has revealed he will join other Super Eagles players in camp on Tuesday as the team prepares to fulfil all righteousness against the Pirates of Seychelles on Friday at the Stephen Keshi Stadium, Asaba. ”The doctors have checked me and granted me permission to join the Super Eagles. I had a little shock in my knee, that’s why I was substituted, it’s not serious.” He said.